The race was stopped twice for nearly 40 minutes for a flurry of late accidents — there were five wrecks in the final 20 laps of regulation. 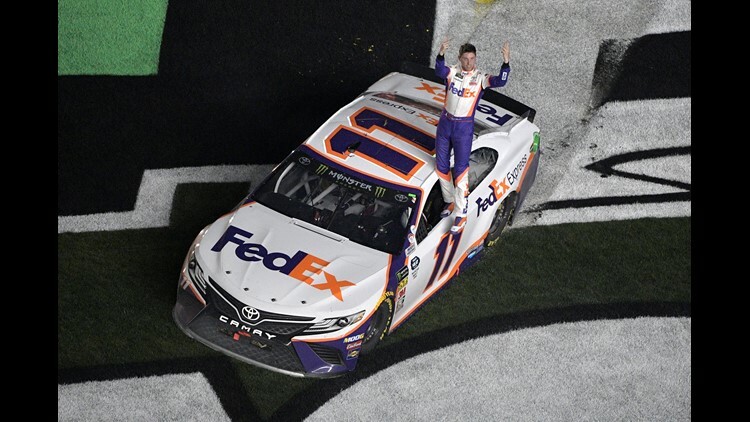 DAYTONA BEACH, Fla. (AP) — Denny Hamlin won the Daytona 500 for the second time in four years, leading a 1-2-3 sweep for Joe Gibbs Racing. Hamlin drives the No. 11— J.D. Gibbs' number when he played football — and his name is on the Toyota. Hamlin said when he arrived at Daytona International Speedway that both the 500 and this season were dedicated to J.D. Gibbs. 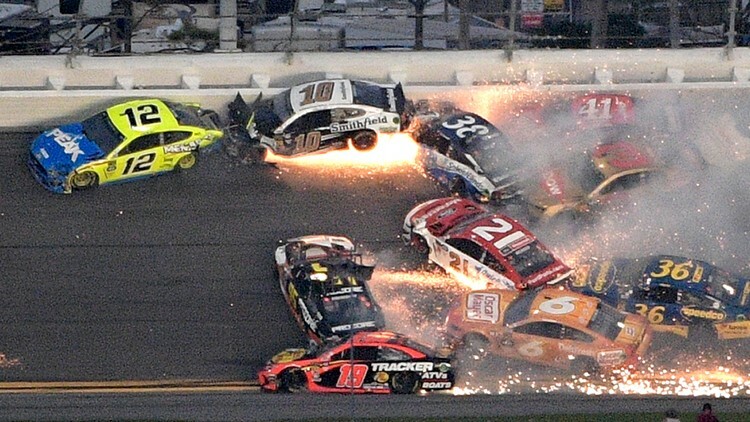 The race was stopped twice for nearly 40 minutes for a flurry of late accidents — there were five wrecks in the final 20 laps of regulation — and only 14 cars finished on the lead lap.